Lite Line Illuminations is the premier place to shop in Los Gatos for hand-blown Murano glass lights, handmade glass chandeliers and custom lighting fixtures. This Silicon Valley lighting shop draws repeat customers with its knowledgeable staff and exclusive selection of beautiful and exotic lamps, fans, outdoor lighting and custom lighting installations. Catering to the stylish Los Gatos retail crowd, Lite Line Illuminations takes pride in offering one-of-a-kind lighting options that are art pieces as well as functional décor. The Kiss'Tique is a Los Gatos hot spot for all things fashion. The locally beloved staff are known for their knowledge and accessibility, and are the first ones to tell you what's in and what's out. The boutique houses a variety of dresses, denims, tops, jewelry and accessories, and the fashion-educated team put customer service first, and have a finger on the pulse of international trends, with an eye for products culled from 8 plus stores all over the globe, from the US to Australia. 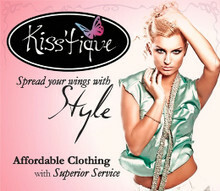 And with an affordable price tag to boot, Kiss'Tique is a must for fashionistas all around the county. 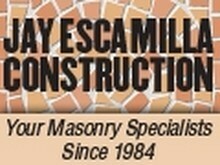 For everything from outdoor kitchens to pizza ovens to natural stone walkways, Jay Escamilla Construction offers top-quality masonry services. The contractors with this full service masonry company in the San Jose area will work closely with clients on landscaping and home improvement design ideas, building what they desire for an idyllic outdoor setting, whether it’s a flagstone patio or an outdoor limestone fireplace. Offering distinctive, luxurious and timeless remodel design options, Los Gatos Remodeler stands out as a premier homebuilder in the South Bay. Specializing in upscale residence remodeling and green building techniques, this Los Gatos general contractor company aims to exceed even the highest expectations. Decorative rugs and tapestries. Oriental rugs and tapestries. Contemporary lighting, home furnishings and home office furniture. Specialty nursery with ornamental plants and decorative garden statuary. European-inspired classic contemporary design with a whimsical flair. Imaginatively colored fabrics juxtapose with vintage silver, mismatched china, found objects and French milled soaps. Gifts, fabrics, lighting, furnishings and furniture. Interior design services. Furniture and interior design. 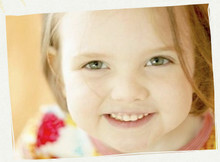 Floor and window coverings, fabrics, wall coverings and art. Specialty florist and plants for the home. Specialty garden store with garden statuary, tools, planters and a smattering of plants. Top quality cookware and hard-to-find kitchen tools for culinary professionals and home chefs. Handmade glazed sinks and tiles. A well-stocked jewelry and gift store featuring both classics and many imaginative, artistic and contemporary pieces by custom jewelers and artisans. Long time Los Gatos shop is operated by owners Diane and Gary.